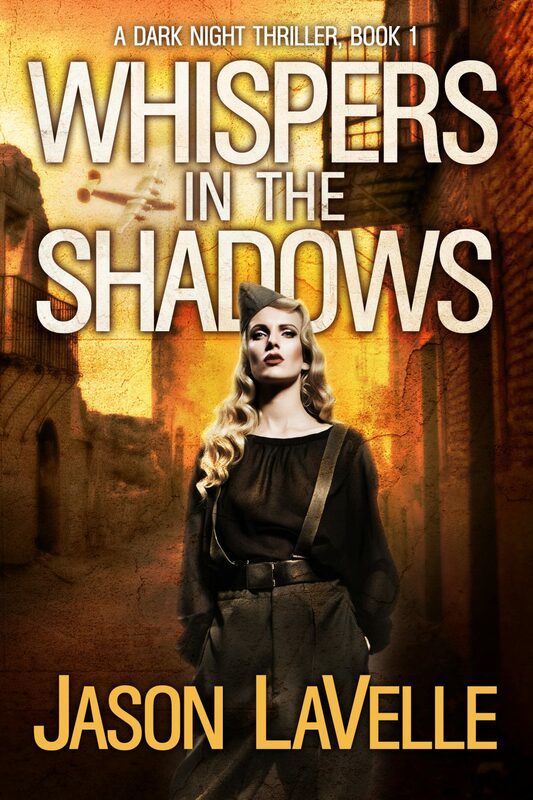 Readers should clear their schedules come September 10, for if they pick up author Jason LaVelle’s newest story Whispers in the Shadows, they will be discovering it near to impossible to put it down once started. This is the first book in his new Dark Night Thriller Series and offers so much to so many different audiences. Suspense, romance, light, dark, losing oneself and finding oneself again, tragedy, happiness, hope, loss, a bit of history, and even some supernatural elements all join together to make one thrilling story and an excellent way to start off the fall season. Delia has heard strange whispers that seem to warn her of lurking dangers ever since her childhood, after a horrifying family tragedy nearly cost her her life. What has kept her going since that terrible night has been her determination to succeed in life and Francis, the butcher’s son who has sworn to love her till his dying days. 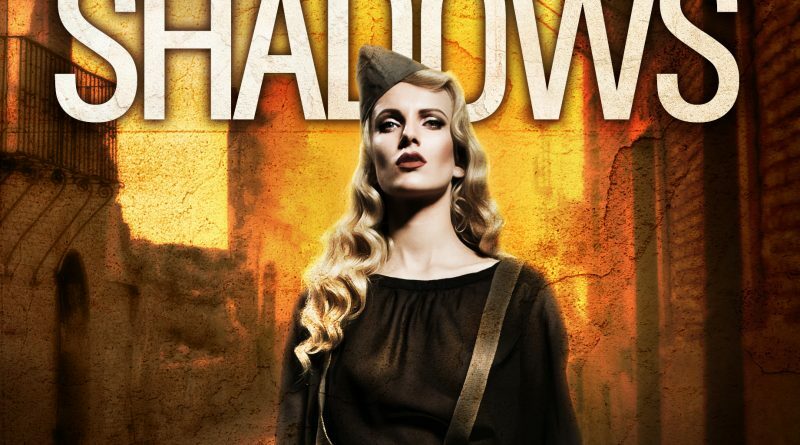 As they grow up, the war has very different paths for each of them to follow: Delia as a nurse and Francis as a soldier. Unforgiving battles uncover darkness within Francis’ soul while healing others leads Delia to not only finding love in a person she least expected, but to also receiving self-healing from this same individual and becoming who she always wanted to be. Yet something is amiss. The warning voices have become loud and persistent… Something evil lurks in the shadows that is threatening to shatter Delia’s heart and soul by threatening all she holds dear. Let us begin by looking at perhaps the main element that will capture readers’ attention: LaVelle’s storytelling. LaVelle has exemplary talent and Whispers in the Shadows is an excellent introduction to the author’s style if one is just starting to read his work. As aforementioned, he includes many elements from many different genres and molds them together into a balanced concoction. This concoction, in turn, reaches out to a larger audience of thrill seekers, lovers of all kinds, history buffs, fans of the macabre, and more. There is a bit of something for every sort of reader. More applause goes out to LaVelle for how eerily lifelike he made his fiction seem. True, it does have a couple events that actually did occur, but this is not why Whispers in the Shadows feels so real. It is not realistic because part of it takes place during World War II. This most certainly plays a crucial role in developing the characters, but what is nice is the fact that LaVelle does not linger on the historical facts that most everyone has heard of time and time again and already knows. It is not realistic because of the two main women, Delia and Alice, although this element is very interesting. Within the Author’s Note, LaVelle reveals that while their names have been changed, these two women were actual people. Knowing these two women stood against society to be together is incredibly inspiring, especially considering the time period these two found one another. While Whispers in the Shadows is fiction, LaVelle most certainly brought justice to their relationship. No, what makes this fiction so realistic are, surprisingly, the elements of darkness and love. Darkness is everywhere in the world and within everyone, yet the light always manages to keep it at bay. There are times, however, when that darkness becomes so powerful that it breaks through the light. No spoilers shall be given away, but readers should be prepared to witness LaVelle’s talent at work as he is able to bring out the darkness in ways to the point where it is frighteningly realistic to read. But then LaVelle’s light is also very real in his story to battle against the darkness and his choice of light is love. He doesn’t just focus on one sort of love, but rather different kinds, such as the kind of love that one doesn’t understand, the love one feels towards a family member, and the love one feels only once in a lifetime. Once again without spoiling anything, readers will most likely find themselves appreciating how LaVelle writes about love and will be able to relate to one or more of the different kinds in some way. There is one other captivating element about LaVelle’s work that brings his story together: his characters. There are really only a handful of main characters for readers to follow, but LaVelle develops them all beautifully. He introduces each of their backgrounds with just the right amount of information, letting readers know who they are as characters without going into too much detail. However, there are two characters who take the gold for the best development: Delia and Francis. Delia pretty much goes through different versions of Hell throughout her life, but rather than allowing the darkness to overpower her, she becomes a stronger person to beat the darkness to protect not only herself, but those she loves, as well. She is a strong female lead and an excellent powerhouse character. However, Francis may steal the spotlight for best development for he is written so well and so lifelike that it is scary. He goes through his own versions of Hell throughout his life, but rather than fighting against the darkness, he allows it to consume him. He is such a complex and twisted character with so much depth that he truly does upstage all of the other characters in their development. Whispers in the Shadows is set for release in less than one month and readers should be prepared. They should prepare to read a thriller that has a healthy dose of many different genres and elements that come together to create one balanced story. They should prepare for this work of captivating fiction to whisk them away to an all too real time with incredibly realistic storytelling. And they should be prepared to have time on their hands to finish reading the story once started. abilities to whisk them away to a different time. Start the fall reading season off with the first in LaVelle’s Dark Night Thriller Series and be prepared for the next book, The Cold Room, is set for release in October.